The last building project was completed in 2010, which created enough classroom space and adequate facilities to meet the state standards for the next 5 to 7 years. 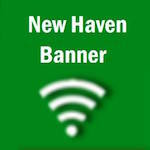 The New Haven School District will be holding a Tax Levy Hearing on August 25, 2011. Citizens are invited to come to the meeting and comment on the tax rate that is to be established by the district. This includes the tax rate applied to one’s home, land, and personal property. The district has traditionally taken a roll back of 41 cents, which Kruse expects to remain the same for this coming school year at $3.9448. Following the upcoming meeting, the board will select a date to hold a subsequent meeting where the tax levy will actually be set. FULL DISCLOSURE: Kyle Quick, owner of QuickNewHavenNews.com, is a member of the Board of Education of the New Haven School District.